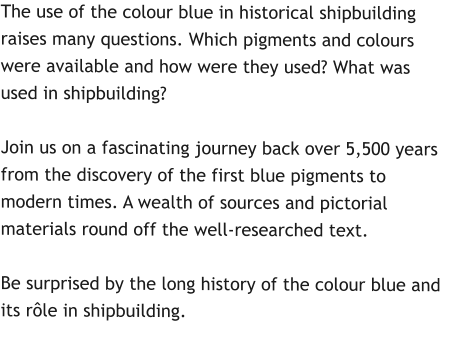 The use of the colour blue in historical shipbuilding raises many questions. Which pigments and colours were available and how were they used? What was used in shipbuilding? Join us on a fascinating journey back over 5,500 years from the discovery of the first blue pigments to modern times. A wealth of sources and pictorial materials round off the well-researched text. 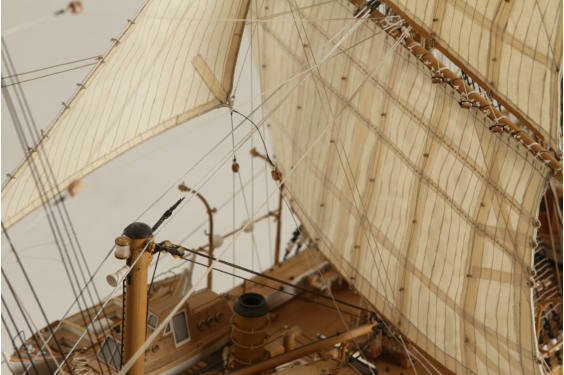 Be surprised by the long history of the colour blue and its rôle in shipbuilding. Ich freue mich sehr, dass das englische Lektorat der bekannte maritime Fachbuchautor David Antscherl übernommen hat ! Ich freue mich sehr, dass das englische Lektorat der bekannte maritime Sachbuchautor David Antscherl übernommen hat !